See also Zero by Rafael_Vargas. My first font including cyrillic basic character set. Help me with they (I'm a complete newbie with the cyrillic glyphs), please. Waiting for your comments improving these glyhs . Info: Created on 5th June 2016 . Last edited on 16th June 2016. My first font including cyrillic basic character set. Help me with they (I'm a complete newbie with the cyrillic glyphs), please. I'm waiting for your comments to improving their aspect. My first font including cyrillic basic character set. Help me with they (I'm a complete newbie with the cyrillic glyphs), please. I'm waiting for your comments to improving these glyphs. Bold angular chunky... the 2 basic Latin sets look very Slavic, a strong design. Regarding the Cyrillic letters: you might ask architaraz, he is the most competent FS' creator to ask. I don't know who else is familiar with Cyrillic/Slavic. There are plenty good ideas in this fontstruction, and nothing particularly wrong with the Cyrillic set. I've made Cyrillic letters several times because of their ease and beauty. Once you've managed the Latin alphabet, most of the components for Cyrillic is already there. The main issue with zamizdat is consistency. You've got nice shapes for P,p,q , but the b is square and blockish. Make it look like your P upside down. The same would apply to the Russian Б,Ъ,Ы,Ь, etc. The lower case ъ,ы,ь, have to component of a miniature Latin b. On your Latin letters: I very much like the A,B,E,P,Q,R,V,W,f,k,p,q,v,w,x,y. The g is almost perfect, except I would put the "ear" on the top-right. The lower case "l" is breaking the rhythm of the text, make it simple. The numbers are a mixed bag; they need more work. The German ß is very good. The Cyrillic characters: В,Г,Д,Ж,И,Р,г,д,ж,и,к,х are excellent. The lower case з should look like a small number 3. Do not squeeze the Ы,ы unless you aim for monospaced font. The font name "zamizdat" need some explanation. The original word, samizdat, comes from the Russian "самиздaт" (self-published). 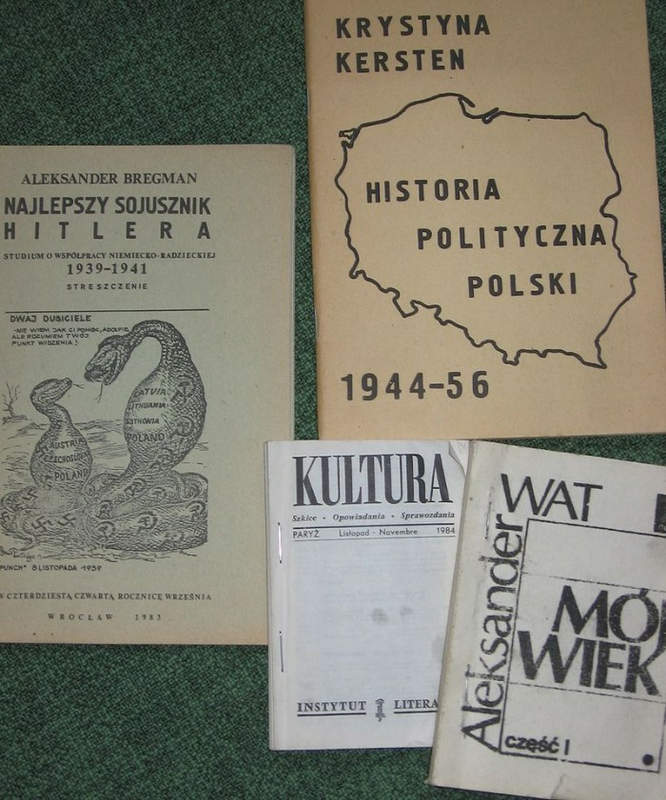 It was a widespread practice across the Soviet block to self-print and distribute underground literature evading state censorship. I hope you find my suggestions helpful. I think it looks good overall, for a first attempt. I, due to my preferences, would make the Ze's wider, and the capital Ef the same height as the rest of the capitals, i.e., have the ascender and descender be just that, above and below the line, like De. I also tend to have a descender on the capital U. I agree with the rest of what Frodo says, though I might make the b the same as the p, i.e., with the sharp top and angled bottom. I might mirror (flip) the design for q and d—have the bottom sharp and the top angled. P.S. : If you make b like p, I would also change the Cyrillic b.
Congratulations! FontStruct Staff have deemed your FontStruction worthy of special mention. “zamizdat eYe/FS” is now a Top Pick. Wow! too much time without FS live, compañeros. I've a lot of work to put a day here. Let's go. @Frodo7 & TCWhite: Thank you veeery much for your veeery enriching comments and appreciations about my cirillic glyphs. I'm trying to use some of your great suggestions in the font. @meek: Muchas gracias for this new pink distinction, jefe. 6 stars for supporting more than just latin! (I am a perfectionist). Yes, the Cyrillic looks fine and is readable. 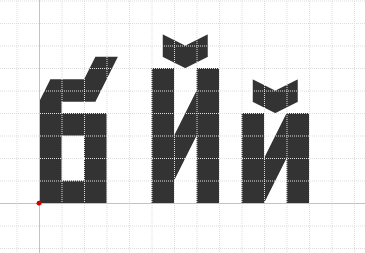 Maybe cyrillic L letter (Л) shоuld be improved, maybe to look similar like letter M style. Hey, awesome font! Could I use it in a game I'm making?